Tamara James is licensed as a Marriage & Family Therapist and affiliated with AAMFT, the American Association for Marriage & Family Therapy. In her practice, she treats individuals, couples, and families with a focus on understanding symptoms and diagnoses within interactions and relationships. 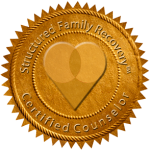 Treating individuals from a family systems perspective, as defined by the client, she focuses on helping them achieve the most satisfying, supportive level of interpersonal relationships.